This fall, we're aiming to raise $25,000 to fund 10 full, year-long Ruby memberships for LGBTQ+ individuals and people of color who might not otherwise be able to afford a Ruby membership. 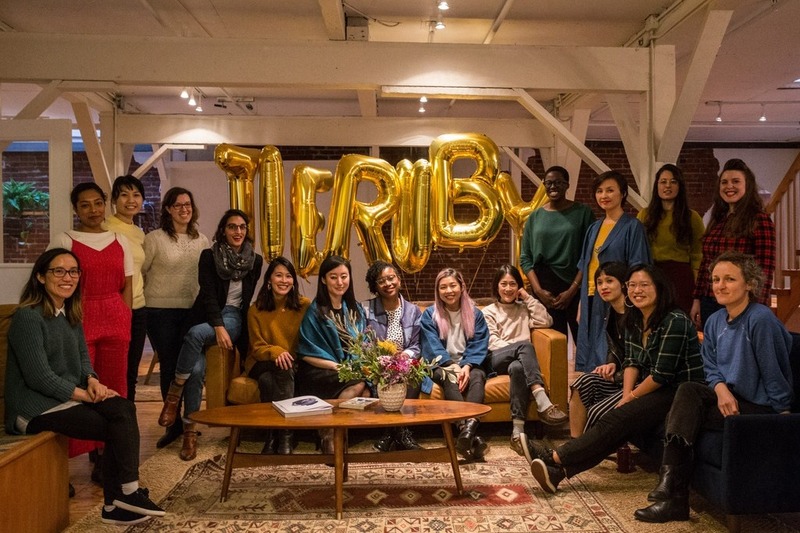 The Ruby is an arts & letters–focused work and gathering space for creative Bay Area women of all definitions and nonbinary folks in San Francisco's Mission District. In a city where it's increasingly difficult to support ourselves as writers and artists, and in a time where it's more important than ever to support the women and nonbinary people in our communities, The Ruby serves as a refuge and a stronghold — a multi-purpose space for continuing education and enrichment, whose community might inspire creative work and collaboration. Your donation, of any amount, is so appreciated. Thank you so much for your support! Hello, GoFundMe community! Thanks to all of you, we have 10 fellowships available to POC and LGBTQ+ individuals for 2019. We hope you will share and pass this opportunity along to any friends who could make meaningful progress on work in The Ruby’s space, but wouldn’t otherwise be able to afford our membership. Applications for both the regular memberships and fellowships are due at the end of February. We hope to announce our new fellows at the beginning of March! We are so grateful to you for being part of our community, and for your love and support. Thanks to amazing supporters like you, we were able to raise $25,495 for The Ruby Fellowship Fund. That translates to 10 full Ruby memberships for POC & LGBTQ individuals. You've ensured that in 2019 we can continue to work toward our continuing goal of a robust and inclusive community, and to continue doing what we do. Thank you for helping support these fellowships. Thank you for giving the gift of a Ruby membership. We couldn't have done it without you and are so grateful to have you as our allies in this. We look forward to sharing our progress with you in the coming year! Thank you, again, for being part of our Ruby community. We could not be more thankful.